Debuting in 2017, the Volvo V90 Cross Country is a mid-sized luxury executive wagon. This and the V90 are the wagon version of the all-new for 2017 S90. The V90 Cross Country is essentially a lifted and ruggedized V90, with greater ground clearance and standard AWD. Compared to this AWD crossover, the regular V90 wagon is expected to sell in low enough numbers that it’s only available in the US by special order. Compared to its predecessor XC70, the V90 Cross Country is wider, with a longer wheelbase. It maintains the 3,500lb towing capacity and seating for 5. The V90 Cross country, along with its sister cars the S90 and V90, are all new designs for the 2017 model year. 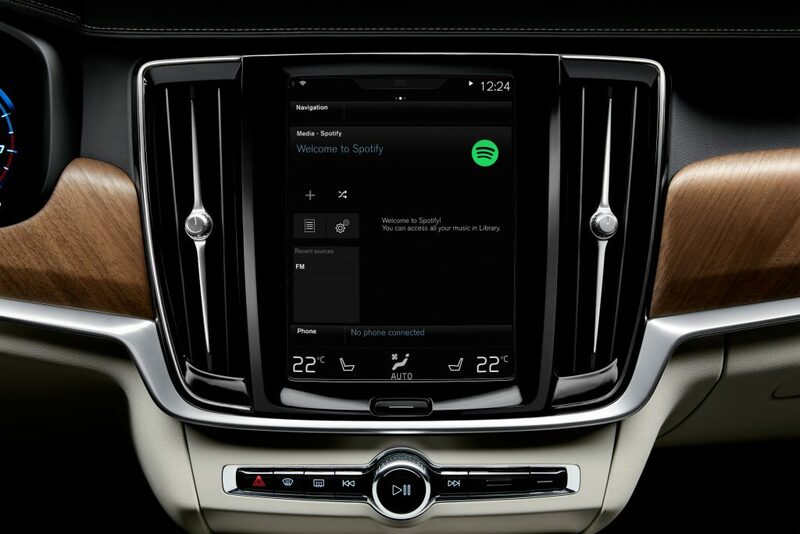 All are built on the Volvo SPA Platform — shared by the XC90. 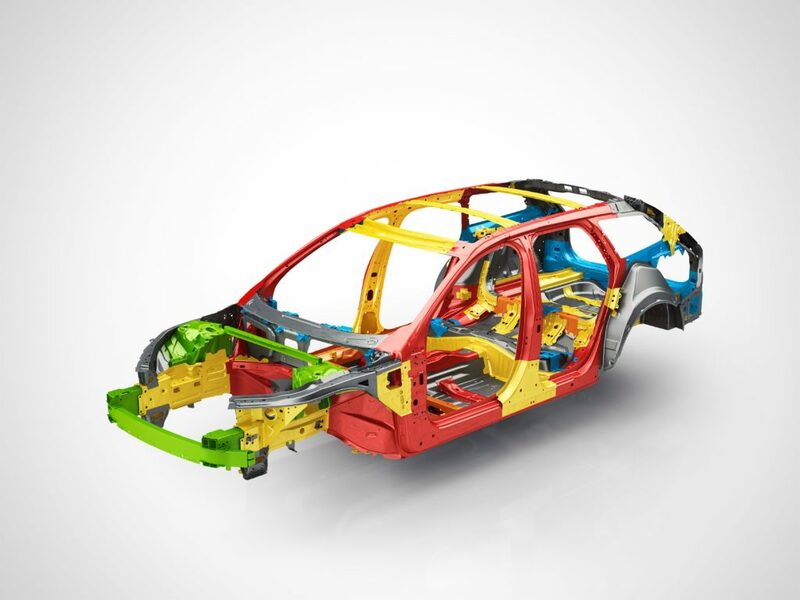 The platform is completely new, beginning production in 2014 with the second-generation XC90. 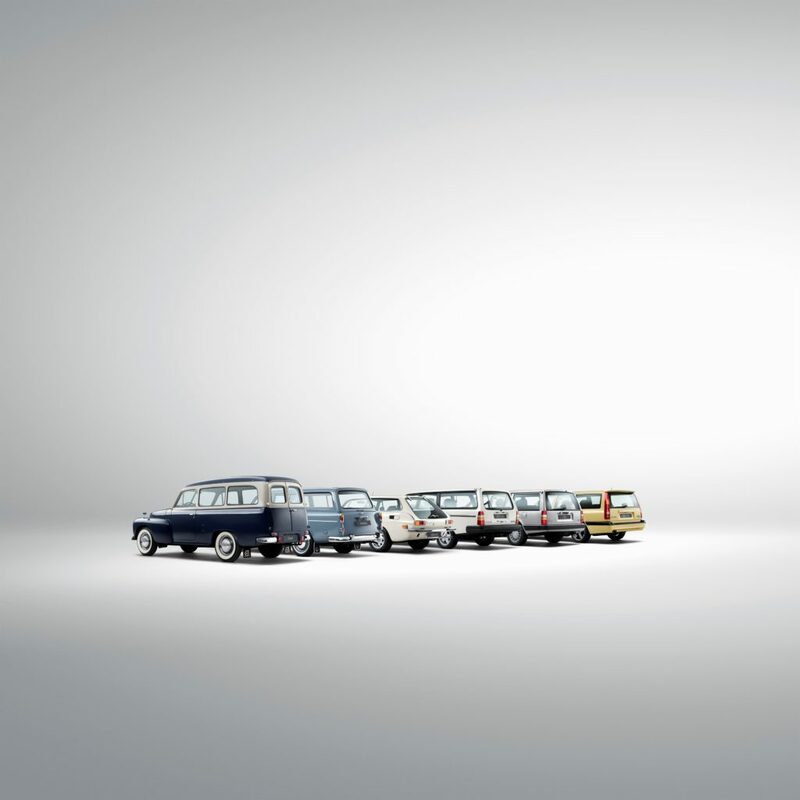 This continues Volvo’s history of the S (sedan/saloon) and V (wagon) models being closely related. The Cross Country (XC) models have traditionally been variants of the wagon models, dating back to 1998 with the introduction of the V70 XC version of the first-generation V70. Like the 850, S70, and C70 models, this was built on Volvo’s P80 platform. The second-generation V70 XC was introduced for the 2001 model year, and was built on the P2 platform shared with the S60, S80, and later the XC90. When the XC90 SUV was released for the 2003 model year, the V70 XC was renamed to the XC70 to highlight the off-road features that came standard on both vehicles. When the Volvo P3 (developed as part of Ford’s EUCD platform) started production in 2006, these naming conventions carried over. 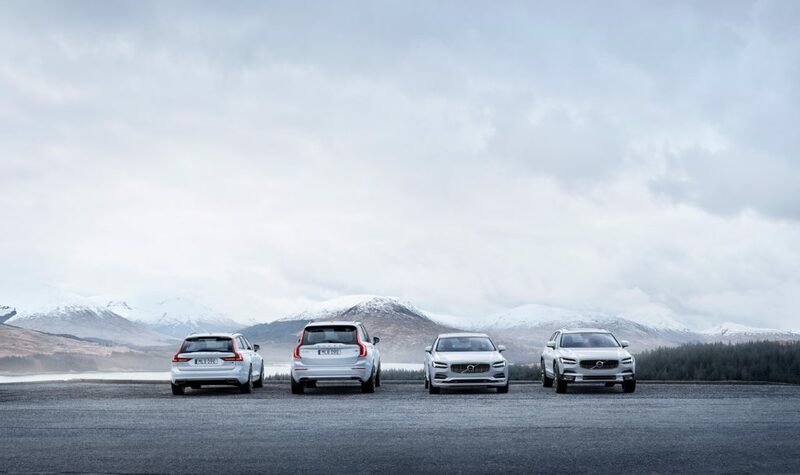 The only significant change was the introduction of the V60 and XC60. This is where the model-naming schemes get a little unclear, as the V60 was a wagon and the XC60 was a crossover-SUV. This was further complicated when the 2014 V60 Cross Country was released – which, like the XC70, was a raised version of the wagon. This same naming issue has arisen with the release of the V90 wagon. To avoid confusion with the XC90 SUV, it’s being called the V90 Cross Country. However, like its predecessor the XC70, the V90 Cross Country is simple a lifted AWD version of the standard V90 wagon. Unlike previous Volvo models, which had a wide variety of drivetrain options, the V90 Cross Country has only one: the T6. This is an AWD layout with a 2.0L 4-cylinder engine that is both turbocharged and supercharged. This is in keeping with Volvo’s current trend of unifying and simplifying their drivetrain layouts across all of the current models. The S60, for example, is only available with the T5 (turbocharged FWD 4-cylinder) or the T6. At first glance, moving the 4,221lb V90 Cross Country with a 2.0L 4-cylinder engine probably seems like a very bad idea. That seems especially true when you consider that it’s an AWD-only vehicle, with large wheels, that is meant for light off-road use. But, the turbocharger and supercharger do their job well, and output is a very respectable 316hp with 295ft-lbs of torque. 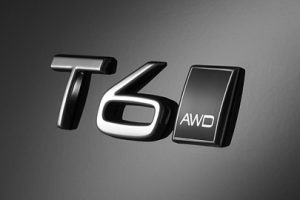 For comparison, the most powerful engine available for the US 2016 XC70 was a 2.5L turbocharged 4-cylinder that put out 250hp and 266ft-lbs of torque. That model only weighed a few hundred pounds less than the new 2017 V90 Cross Country. However, the newer model does seem to be losing some fuel economy, with an estimated 30/22 mpg (the 2016 XC70 had 31/23). Somewhat troubling is the significantly lessened fuel capacity (15.9 gallons down from 18.5 gallons). Considering that the fuel economy is actually worse, this means the new model has a non-trivially reduced range. Like with all Volvos, safety appears to be a high priority on the V90 Cross Country. While crash test safety results are not available for the V90 Cross Country yet, its sister the S90 has received top marks in every category from the Insurance Institute for Highway Safety. It’s not unreasonable to assume that the V90 Cross Country will garner similar ratings. Distance Alert — When cruise control is engaged, this keeps you the proper distance from the car in front of you. If cruise control is disengaged, it warns you if you get too close to the car. Rear-Collision Warning — This is a pretty interesting system. If a car is approaching quickly from the rear, it warns you of a possible imminent collision. It also flashes the hazard lights rapidly to try and get the other driver’s attention. At the last moment, it will tighten the seat belts (and apply the brakes if you’re stopped) to minimize the risk of injury. 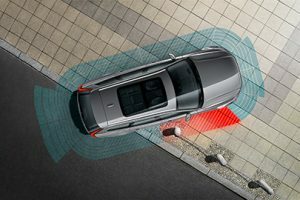 In addition to the safety technology discussed above, the V90 Cross Country comes with a lot of standard and optional equipment that add a great deal of value. It also has a very nicely designed interior, such as you would expect from a Scandinavian luxury car. Leather seats are standard (with a perforated Napa leather upgrade available), and so are a lot of other comfort amenities like power seats (with driver memory), heated front seats (heated rear seats are optional), 2-zone climate control, and moonroof. Tech geeks will find all of the standard and optional gadgetry especially exciting. A 12″ driver display (on the dash) and a massive center display are both standard, and provide vehicle information and control. Parking assist is available, both for parallel parking and for pulling into tight parking spaces. Navigation and infotainment are both standard. They’re nice features, but pretty much what you’d expect on a luxury car. The standard voice control system does a lot more than just allow you to make calls on your phone. You can use it to adjust the climate control, navigation, and infotainment. Volvo’s new standard Volvo On Call smartphone app is a cool feature that provides some surprising functionality — you can do things like warm up the car from inside your home, use GPS to find where you parked, check fuel level and door lock status, and more. Most of these features you’ve probably seen before from other car makers, but there are two tech options which feel very cutting-edge. The first is a graphical heads-up display (HUD), which projects information like your current speed onto the windshield where you can easily see it without glancing down to the dash. The second is a 360° Surround View Camera that uses multiple cameras and sensors to create a high-resolution birds eye view of V90 Cross Country. This lets you clearly see obstacles around you, and navigate tight spots. Any discussion of a new model of car is woefully incomplete with some talk about price and value. As a luxury vehicle, the V90 Cross Country certainly isn’t meant to compete in price with more budget-friendly cars. But, with an MSRP starting at $55,300, it’s actually surprisingly reasonable. This seems to be roughly on par with a similarly optioned BMW 3-Series wagon, while being larger and significantly more powerful. What’s even more interesting is the value of the V90 Cross Country when compared to its siblings at Volvo. While the starting MSRP of the V90 Cross Country is higher than both the XC90 and S90, it does come standard with a lot of features that are optional on those models. When similar options are added, all three end up being priced very closely. When it comes down to it, it ends up being a question of what you what kind of vehicle you want. Do you want an sedan? Grab an S90. Want the size and seating capacity of an SUV? The XC90 is for you. But, if you want a luxury wagon with off-road chops, the V90 Cross Country seems to be a very solid choice.